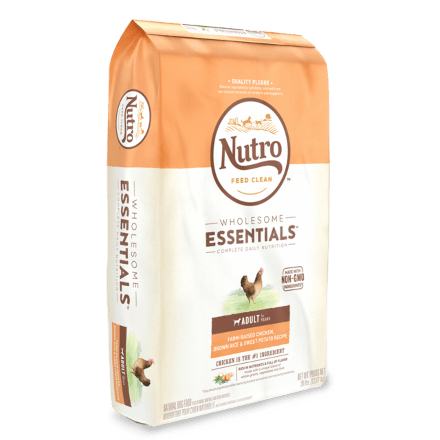 NUTRO™ WHOLESOME ESSENTIALS™ Adult Farm-Raised Chicken, Brown Rice & Sweet Potato Recipe always starts with great-tasting, farm-raised chicken and contains a unique blend of whole grains, vegetables and fruit. 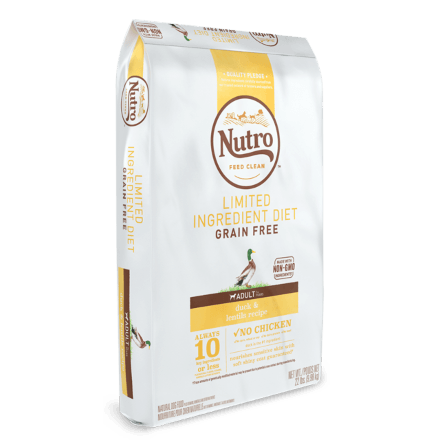 Our NUTRO™ Food for Dogs follows the NUTRO FEED CLEAN™ Philosophy. Chicken, Chicken Meal, Whole Brown Rice, Brewers Rice, Split Peas, Rice Bran, Chicken Fat (preserved with Mixed Tocopherols), Barley, Lamb Meal, Dried Sweet Potato, Natural Flavour, Dried Plain Beet Pulp, Flaxseed, Potassium Chloride, Choline Chloride, DL-Methionine, Salt, Dried Apples, Dried Blueberries, Dried Carrots, Mixed Tocopherols and Citric Acid (preservatives), Zinc Sulfate, Niacin Supplement, Biotin, Vitamin E Supplement, Iron Amino Acid Chelate, D-Calcium Pantothenate, Riboflavin Supplement (Vitamin B2), Selenium Yeast, Vitamin B12 Supplement, Copper Amino Acid Chelate, Pyridoxine Hydrochloride (Vitamin B6), Manganese Amino Acid Chelate, Vitamin A Supplement, Thiamine Mononitrate (Vitamin B1), Vitamin D3 Supplement, Folic Acid, Rosemary Extract. 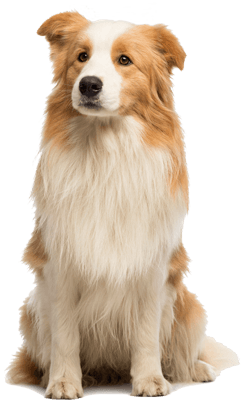 ‡Use a standard 8 oz (250 ml) measuring cup which holds 3.31 oz. 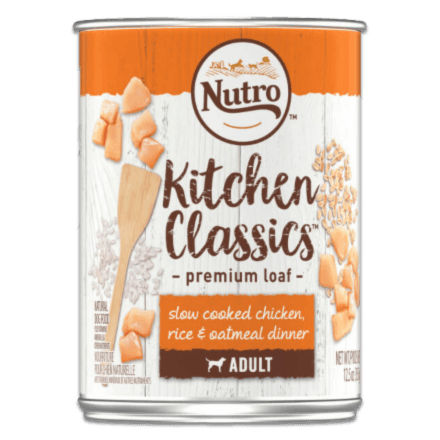 (93.8 g) of NUTRO™ WHOLESOME ESSENTIALS™ Adult Farm-Raised Chicken, Brown Rice & Sweet Potato Recipe Dog Food.